If you would like something completely different to offer your guests at a special party or function then we can highly recommend our Baileys chocolate fountain. The Baileys chocolate fountain is a most indulgent way to add a touch of class to any celebration. Whether you are having a small personal affair, a grand celebration or maybe you are having a hen night for your best friend then the Baileys fountain would be ideal. It truly is an inspirational addition to any party. This amazing fountain will be flowing with Bailey’s Irish Liqueur.  With different types of packages available, the expert team at Kelly’s Occasions can adapt the amount of Baileys to suit the size of your guest list. We will also supply enough shot cups made in Belgian chocolate to add that exquisite and divine atmosphere that the fountain provides. You can fill up the chocolate cup with Baileys and then actually eat it once it is empty. The Baileys Fountain is the perfect piece to have at your function and can be hired on its own, or to complement our chocolate fountains and fruit palms trees. Pure indulgence that will be hugely memorable to your guests for all the right reasons. The Baileys fountain not only tastes good, but the smell alone will have your guests helping themselves the instant they take in its wonderful scent. It can be placed on one of our illuminated stands and will be operated by one of our uniformed assistants who will ensure the fountain runs smoothly. They will also ensure that there are plenty of chocolate shot cups for everyone to enjoy throughout the day or night. If you love Baileys, why not try our luxurious Bailey’s Irish Liqueur Fountain. It will come complete with delicious Belgian Chocolate Shot cups to compliment the creamy, velvety taste of your favourite Irish cream. Sure to be a talking point of any event, this fountain looks amazing and tastes fantastic. Speak to us today about one of the most delightful ways to offer Baileys to your guests, without the hassle of setting up or hiring additional cleaners after the event. Please contact us for availability, prices and for a quotation.